Duo Jonas Kocher (accordion) – Gaudenz Badrutt (electronics). 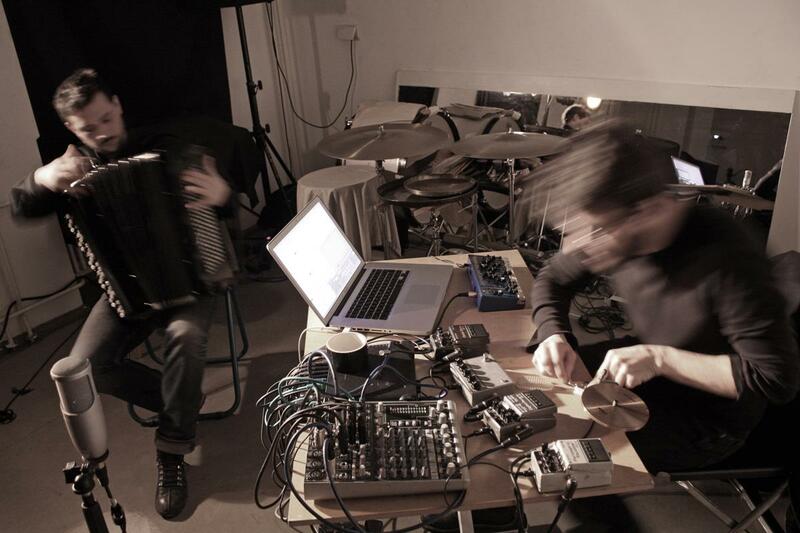 Founded in 2009, this duo developed a subtil work that explores the relations between the very electronic sounds of the accordion and the instrumental potential of the electronic. They create a fragmented and tensed sound universe, always open to the present and the accidents. Concerts at the Festival Le Bruit de la Musique, Sanatorium Dźwięku Festival, Festival Influx#2 Toulouse, SwissMusicDays Belgrade, JOLT Festival Basel, St.Petersburg, Prague, Helsinki, Tirana a.o.